Many writers have a business card—even if they don’t have publication credits yet. 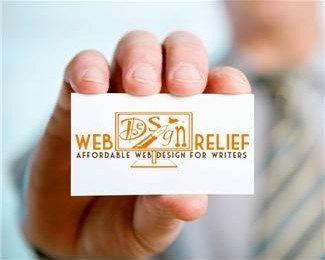 A business card, like an author website, gives the impression of professionalism and seriousness. It’s an important and inexpensive tool for making great connections and fans. But many writers think inside the box when it comes to designing and using their business cards. They’ll include their contact information and nothing more. The fact is, your business card is your most powerful tool for face-to-face networking and promotion. And when you couple your print business card with active social networks and a dynamic author website, you’ve hit the trifecta of promotion. 1. Including only contact information. Your name and where you live may say a lot about you, but it doesn’t say much about your writing. Consider using the backside of your business card to include your author bio. When people take your business card home from a conference (along with many other cards), they’ll remember you. 2. Not incentivizing website visits. By giving a person a reason to visit your website, you give yourself another shot at making a fan or nabbing a new subscriber for your email list. But you’ve got to give people a reason to move from your paper business card to your digital website. 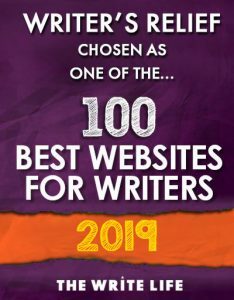 What can you offer to readers who visit your site? A free e-book? A free short story? The opportunity to sign up for a free bookmark? TIP: Create a “secret” page on your site that is only accessible to your mailing list via an emailed link. 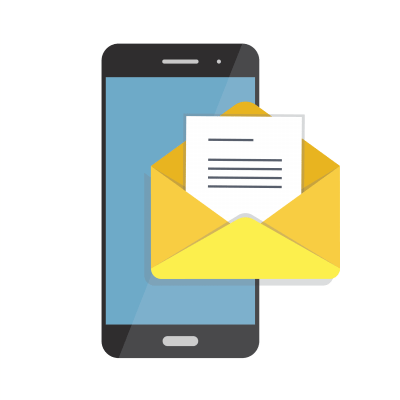 Your email management program should allow you to either create a landing “success” page for new subscribers or allow you to send them an automatically generated email with your secret link. 3. Not taking advantage of cover art. How many business cards have you seen that are plain black font on an eggshell background? For writers, that’s a beginning but not a “best practice.” If you have a book or collection published, use the cover art as an eye-catching graphic on one side of your bookmark. Consider including a one-line caption that describes your book. On the other side, include your incentives, URL, and contact info. 4. Not seeing opportunities to hand out business cards. If you had a dime for every time someone asked you, “What do you write?” you’d probably have a lotta dimes. Instead of giving a vague and dissatisfying answer (“I write words”), simply say “Hold on one moment.” Then, fish your business card out of your wallet or handbag. You’ll find that people will be thrilled to really get a sense of what you write and where to find out more about you. 5. Not including social networks info. In the old days, people stayed in contact via phone, email, and home address. These days, social networking is a fabulous, low-pressure way to stay connected. Remember to include your social network addresses on your business card, and you’ll find you have more and more cyber friends! Give away business cards with your book cover art on the goodie table at writing conferences: attach a mint or a piece of chocolate (otherwise, your promo item might not be able to compete). Punch a hole in the top of your business cards, thread a long ribbon through, and offer them as mini bookmarks. Bonus if your cover art is awesome. Tuck your business cards in thank-you letters. Leave your business card when you pay your bill at a restaurant. At networking events, hand over your business card right away. At readings and signings, pass them around. Point out your “freebie” to get people to visit your site. QUESTION: What other ways can writers use business cards to their advantage? engine optimization company at the moment—I have started seriously considering trying it myself. Great tips. Particularly the biography at the back of the card. Also the idea of book mark. Am impressed. Thank you for these great ideas! Especially the no-brainer, genius tip of turning those businesses cards into bookmarks. I was just having this dilemma, as a budgeted, self-published, self-promoting indie author, of how to afford cards & bookmarks & all the other great table spread that other authors have at events. We have to be creative! Plus, I think its just more interesting that way…when someone does something besides the same old table confetti – book marks, post cards, sell sheets, blah blah blah. So, I’m delighted to have found this article! Thank you so much! I’ve been struggling with what to put on a business card, and how to use it to my advantage, and these tips are perfect! Very useful. i have just published my first book so now I am in the process of making business cards. This is a great help to my way. Thank you. Thank you for the great ideas. I have been thinking about what to include on my business cards for my new novel, and your article was most helpful. I recently went to the london bookfair and heard countless seminars on how blogging and social media are the main ways to get book sales. Since I’m not big on social networking it scared the life out of me. I have just finished by first book and was scared to death of sending it out without a million followers on twitter to my name. Thanks so much for all the advice, my heart attack should stop any moment now. THANK YOU! I’ve always wondered what to put on a writer’s card. And I love the advice about adding author bio to the back side of the card. Great Ideas! Thanks. Great ideas. I am relocating and will need new cards and now I have a better focus for what I should include so contacts in my new town will know me and what I write. Love this idea, author bio on the back. These are great tips! I will include an author bio on the back next time I get business cards. I use my blog’s brand name on my cards. I don’t know if it helps me get readers, but the suggestion’s there. Michelle, thanks for adding to the conversation. We’re glad you made this point. We would never encourage anyone to be rude or unfriendly and pass out cards without a handshake or introduction. It’s important to make a good impression and to be polite and courteous. That said, people do expect to receive business cards at networking events, so there’s no need to be shy about it! All of these are good ideas, but I would not wantonly handout your business card at a networking event. Wait to be asked for it. I don’t have a writer card, yet, but you can bet I’m keeping these tips and ideas. Thanks you guys! Excellent tips — I’m in the process of updating my writer card prior to a conference, and will add my author bio to the back. Great idea! I have no cover art to add, but my card includes a headshot of me — people at conferences have said it helps them remember me in the vast array of writers they’re meeting. This is actually a really good idea! On my train ride home from work people are always asking me what I write when they see me scribbling in my notebook; I’m going to make a business card for my website and start handing them out to people who ask.